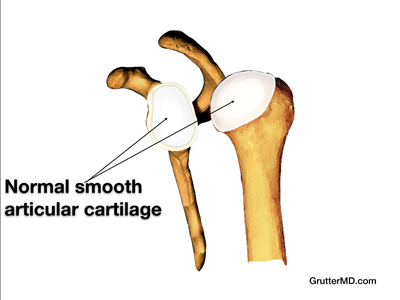 The articular surfaces of the shoulder joint are normally covered with a smooth glding surface called articular cartilage. Arthritis is when the smooth gliding surface in a joint wears out. This smooth gliding surface is called cartilage and when it wears out the bones in a joint rub against each other which is painful. 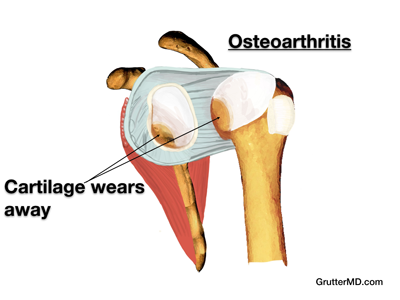 Shoulder pain can result from arthritis. 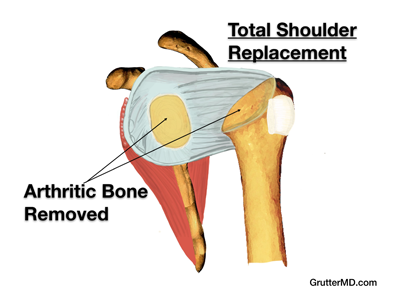 Shoulder arthritis causes swelling, pain and stiffness. Arthritis may be related to sports or work injuries. 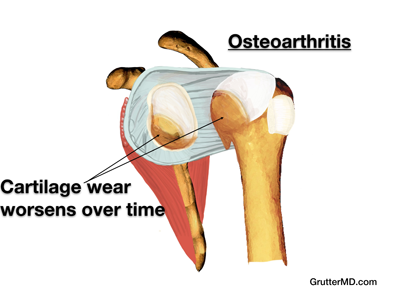 Shoulder arthritis generally gradually progress over time. Worsening arthritis in the shoulder may lead to increased pain and increased stiffness in the shoulder. Often people with arthritis will avoid shoulder movements in an attempt to lessen their pain. Over time the restricted motion and pain leads to restricted use of the shoulder which can limit a persons ability to perform their activities of daily living. 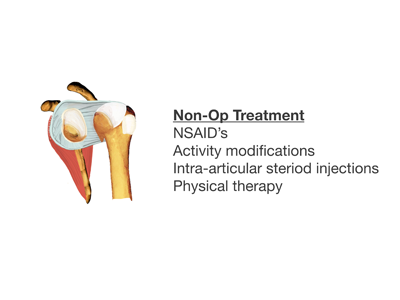 Conservative (non-operative) treatment for shoulder arthritis includes non-steroidal anti-inflammation medications such as motrin and naproxen as well as activity modifications, steroid injections and physical therapy. 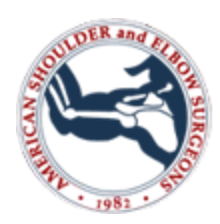 When conservative treatment has failed the main treatment option for shoulder arthritis is total shoulder replacement. In the surgery the arthritic areas of bone are removed. 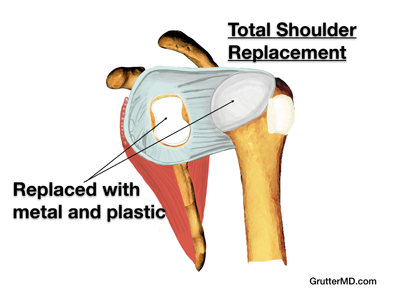 The arthritic areas are then replaced with metal and plastic to restore a smooth articulation to the joint and relieve the pain of shoulder arthritis. Patients generally start physical therapy 2 weeks after surgery. Generally allowed to drive 4 weeks after surgery provided they have progressed well with PT and are not taking narcotic pain medications. Golf: May hit off the tee at 3 months if motor function has been restored. 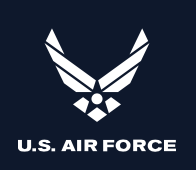 No hitting off the ground/farway for 6 months. Patients generally can return to sports after TSA. Most common sports include: swimming, golf, cycling, and fitness training.